Everyone has heard a horror story about taxis and ride-sharing services – but although many of those stories involve women and sexual violence, no record exists of how many women have been assaulted in taxis. 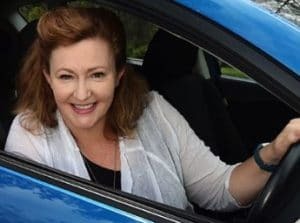 In Australia 60% of taxi and ride-share passengers are women, while only 4% of drivers are women, posing a potential safety concern with women forced to ride with a stranger. George McEnroe’s company Shebah aims to change those things, she discusses the groups of women now voicing their concerns with street harassment and violence.